Lorraine is the OG quiche: This simple combo of eggs, cream, cheese, and bacon launched a thousand variations. And why not? It’s elegant enough for brunch with the in-laws, easy enough for a weeknight dinner—and thanks to that bacon, appealing enough for even the pickiest eater. 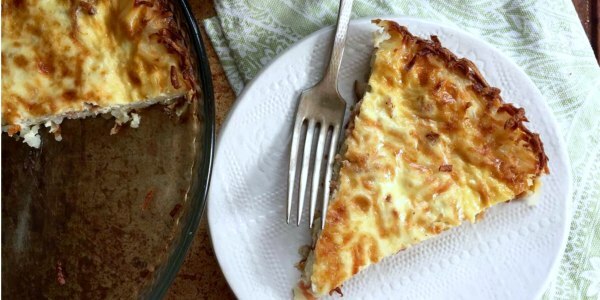 There’s something so comforting about a warm slice of custardy-cheesy-salty pie. This version, baked in a crust made of shredded potatoes, is gluten-free and perfectly satisfying. Add a green salad or roast some veggies while the quiche cools and you’ve got yourself a meal. Debbie Koenig is the author of the cookbook Parents Need to Eat Too. She lives with her family in Brooklyn.